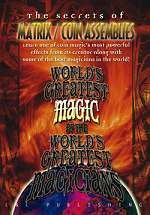 The Greatest Collection Of Coin Magic Ever Assembled On DVD! 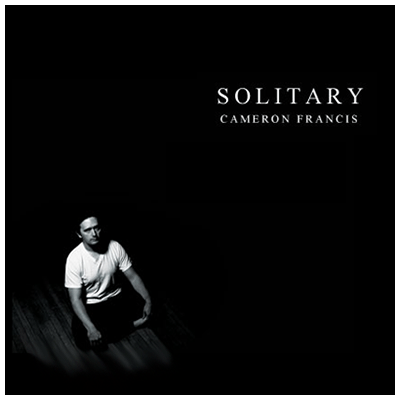 In this 2 DVD set you will witness the creative and mind-blowing genius of Philippe Bougard and Clment Kerstenne. 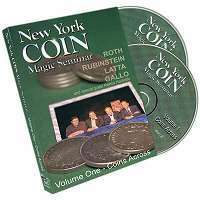 These DVDs are packed with highly visual coin magic and in-depth instruction. A must have for every coin worker!!! 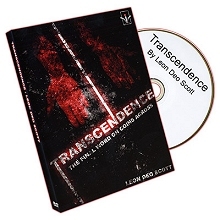 Transcendence is a super visual coin across that happens in the spectators open palm with no cover. That is right! No cover, the extra coin just pops into view with no explanation as to where it came from! This has to be seen to be believed! 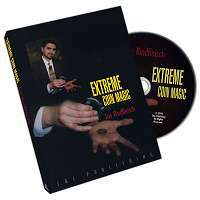 On this DVD you will learn how to use the staple gimmick of professional close-up coin magic. Ask someone to hand you a fifty dollar bill. Change the fifty into a five dollar bill and then back to the fifty! Make a quarter jump from one hand to the other. + These and other effects will catapult you into instant success at the next office party, corporate trade show or close-up show. 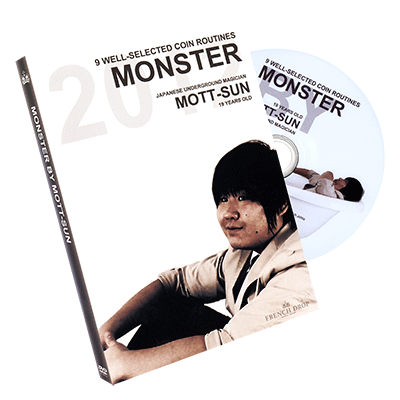 Japanese underground magician Mott-sun is releasing his first DVD. There are 9 coin routines using only regular coins, and they are variations of familiar classic plots. But you will be totally fooled! Totally impromptu. 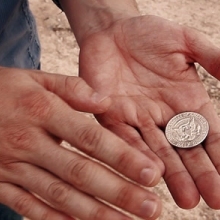 All you need is a coin, your hands, and someone to amaze. Learn the Real Work from a Real Worker. Want to catch attention fast??? 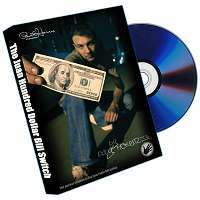 Ben Salinas shares his expertise in bill switches. These effects are perfect for street magic, table-hopping and more!! 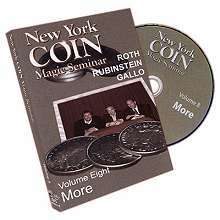 Learn how to make coins vanish, reappear, and even more with this instructional DVD. Make the magic happen using ordinary coins! Easy to learn! 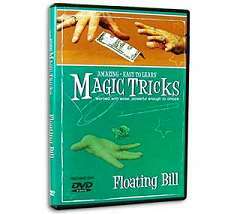 Everything you need to know to make a dollar bill float is included on this instructional DVD. Learn how to make the magic happen with flotation! 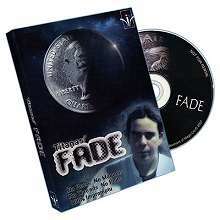 FADE is a topitless, lapless, propless way to vanish, secretly exchange or visually switch a coin. 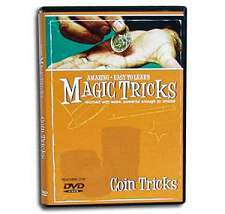 Titanas brings you a fundamental technique that EVERY magician that performs with coins or small objects needs to have in their magic armory. Destined to become the new standard in bill switches! With just a slow wave, one coin visually vanishes. Your hands never touch. It happens slowly, just like real magic. There are no gimmicks, magnets, or wires. No setup. Just one coin. 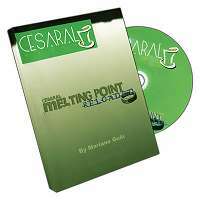 This DVD is fully packed with clear explanations on how to boost your magic using the CMP gimmick. Improve your work and make your effects more magical. 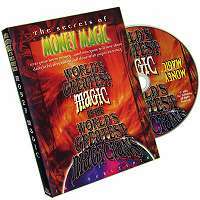 Fool layman and magicians alike with already existing tricks, just by applying these superb secrets. 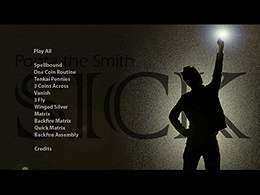 Sick by Ponta the Smith features 11 unbelievable coin routines. This is no-gaff coin magic at it's best. We have received an advance copy here at our shop and everyone that has previewed the DVD agress, This is hot! 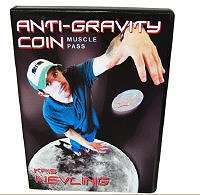 If you have mastered the Cornelius "Jumping Coin" effect, this is for you and all professional coin workers! On this DVD, three master Japanese coin workers showcase the "Harada Hold." 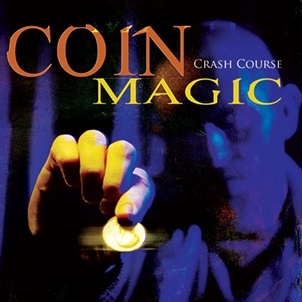 If you're looking for a different approach to coin magic and manipulation, this is IT!